Decoding your personal style can really make your life easier. First, you can already shop clothes more wisely. Second, you can now get dressed faster every morning, and lastly, you’ll become more self-confident. So if you’re still in the process of figuring out your go-to look, then follow these five-step guideline below. Take a Close Look in Your Wardrobe. The first step in finding out your personal style is to determine the most common clothing piece in your closet, then get rid of those the items that you never really wear. After that, start deciding as to what key pieces are missing from your wardrobe to complete the look that you’re going for. Seek Some Fashion Inspiration. 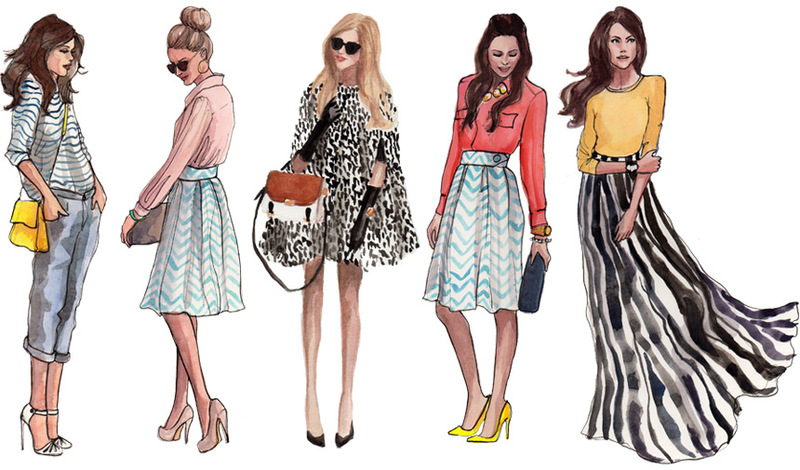 A good way to determine your personal style is by seeking a fashion inspiration. Cut out catalogue and magazine pictures that represent your fashion goals, then slowly add those pieces into your wardrobe. Also, consider the shapes, silhouettes and colour palettes that you’d like to have in your signature look. Experiment with Textures and Colours. In finding your signature style, it would be best to step outside your comfort zone so that you can properly analyse your fashion selections. That way, you’ll get a clearer perspective as to whether you like a particular style because it looks good on you, or just because it’s trendy. Understand Your Body Type. As you start figuring out your signature style, it’s important that you identify the style that fits your body well and highlights your best assets. Remember, fit and proportion plays an important role in determining a good clothing style. Create Your Wardrobe Slowly. Once you’ve finally decided on the signature style that you want, you can already start adding in the key pieces to it. As you start shopping for these pieces, be very intentional as to why you’re buying them. Come up with a shopping list and ensure that you won’t deviate from it. Figuring out a signature style can be a very time-consuming process. So don’t hesitate to take as much time as you want to find the fashion identity that you’re confident and very much comfortable with.